WASHINGTON - The Mueller investigation. Heard of it? After a year and 10 months of suspense, special counsel Robert Mueller's investigation has completed his investigation into Russian interference in the 2016 presidential election. Thirty-four people have been indicted since Mueller opened his review in May 2017, including some of President Donald Trump's closest advisers and Russian intelligence operatives. Mueller's investigation has already revealed many details about a sophisticated effort to influence the election and a campaign trying to benefit from that work. But what his final report will look like remains a mystery. 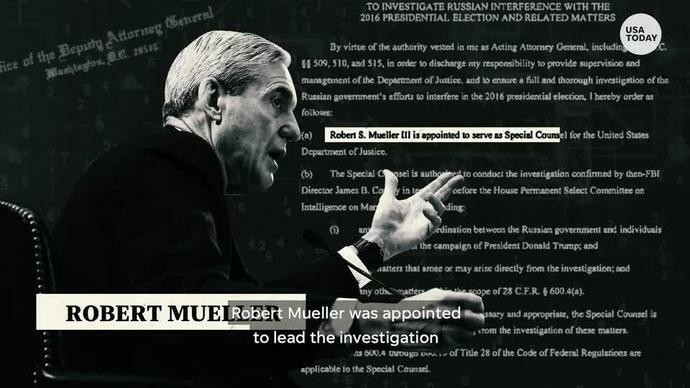 Mueller's confidential report will explain why he filed the charges he did during the investigation, and why he might have declined to bring charges against anyone else. It could be short. After all the anticipation (and nail biting), you probably won't get to see the Mueller report. At least for a bit. Why? Justice Department rules require that Mueller submit a "confidential" report when his work is done. From there, his boss, Attorney General William Barr, gets to decide what happens. (Barr is the guy who will decide what the public can see, and when). The only thing Barr is required to reveal is whether Mueller's bosses ever overruled him. Mueller isn't required to make public statements about his work, according to Justice Department rules, so he doesn't need to deliver a public record of his findings. Plus, he's stayed quiet since he was tapped in May 2017 to head the probe, despite intense public interest and scrutiny (including from the president). Barr told lawmakers during his confirmation hearing in January that he wanted to be transparent, but he couldn't commit to releasing Mueller's report in full. Neither was he clear on whether he would permit Mueller to testify to Congress about his work, something Democratic lawmakers have hinted they might request. Some of what's in the report could be information that's required by law to remain secret. Instead, Barr has suggested he will prepare his own summary. Congress wants to see Mueller's findings and is preparing for a fight to see it. Lawmakers from both parties - yes, both Republicans and Democrats - plan to press for access not just to the report but also to the evidence he gathered during the investigation. The demands would almost certainly set up a battle between Congress and the Justice Department. "We expect the full report," said Rep. Jerrold Nadler, D-N.Y., the chairman of the Judiciary Committee. "If we don't get it, we'll do what we have to do to get it. If that means subpoenaing it, we'll subpoena it."